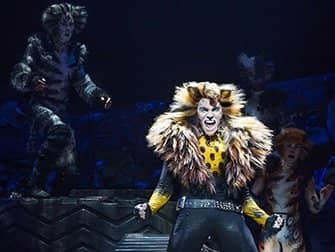 Save on Cats on Broadway tickets by buying them online before you go to New York.Online purchase of theatre tickets is safe, easy and, above all, saves you time and money! The great classic Cats has returned to Broadway! After 16 years of absence, you can now enjoy the fourth longest running Broadway musical ever on the Great White Way. The show is performed at the Neil Simon Theatre. 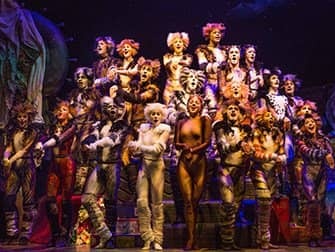 Cats was originally based on the novel ‘Old Possum’s Book of Practical Cats’ written by Thomas Stearns Eliot, but is better known as an Andrew Lloyd Webber musical. Enjoy a magical night out and discover the lives of a clowder of cats that live on a gigantic rubbish dump.